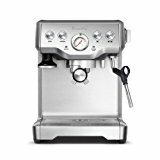 Currently viewing the category: "Espresso Machines Under $300"
KRUPS’ XP line of espresso machines make a great addition to a beginner’s kitchen. The machines are built of stainless steel housing with few plastic parts, making it of great quality. Thermoblock heating system provides ideal and consistent temperature. 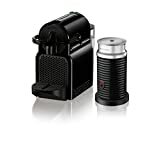 Portafilter with universal basket that can hold coffee ground or e.s.e pods. Cup warming tray on top. Click here to learn more about KRUPS XP, read the customer reviews and buy it. 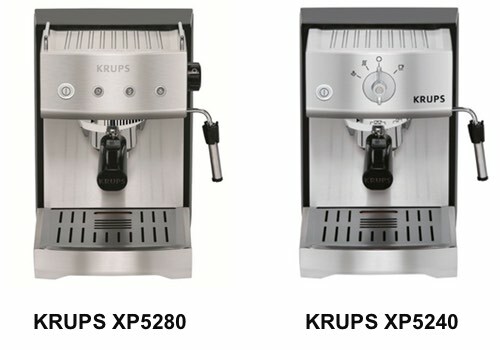 What’s The Difference Between KRUPS XP5280 & XP5240? 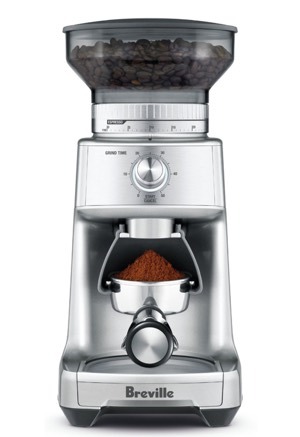 The KRUPS XP5280 has auto flow stop for brewing. 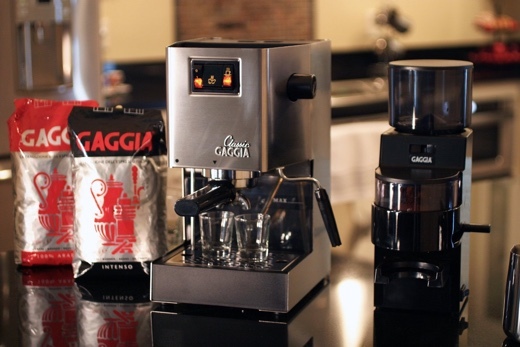 This means that you can program it to save your desired volume for your espresso shot. The XP5240 does not have this feature. The XP5280 has push buttons, this makes the option to program the auto-flow easy by continuing to press until you’ve got your desired volume. 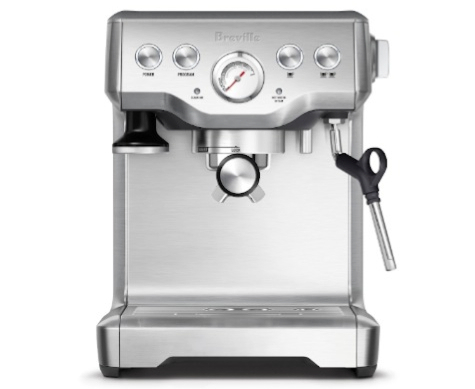 On the other hand, the XP5240 uses dial knobs to go from brewing to steam function or to stop the flow. 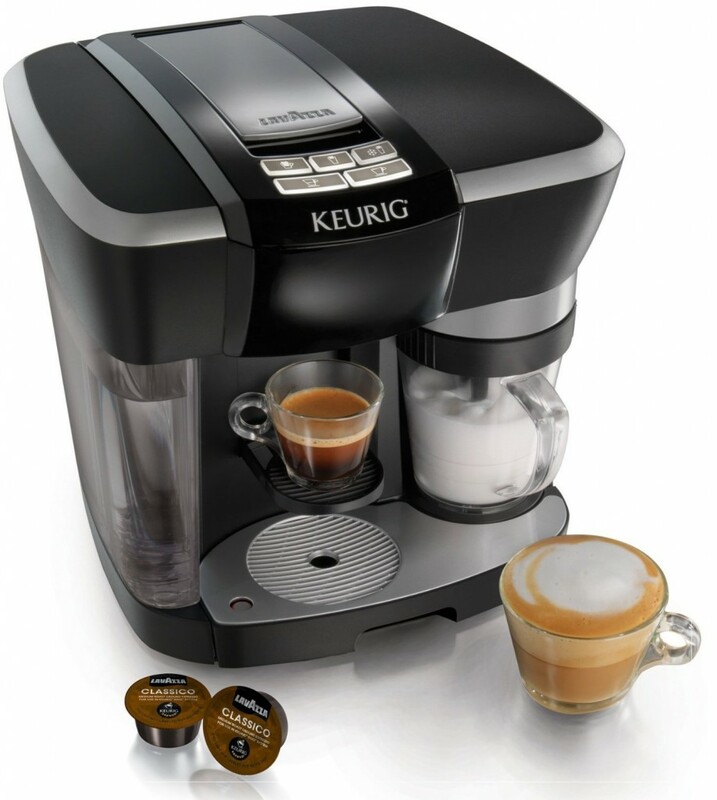 The programmable volumes are quite handy and makes coffee brewing more convenient. It has received more positive reviews from customers than the XP5240. 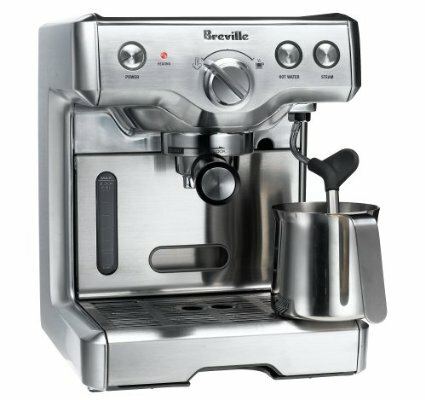 Best Espresso Machines For Beginners. 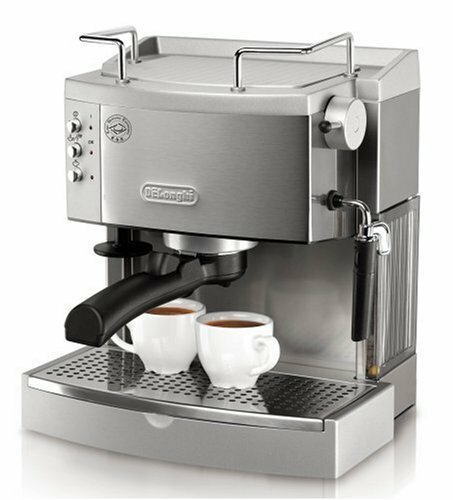 Capresso EC Pro 118.05 vs. 119.05 vs. EC100 – Is There a Difference? 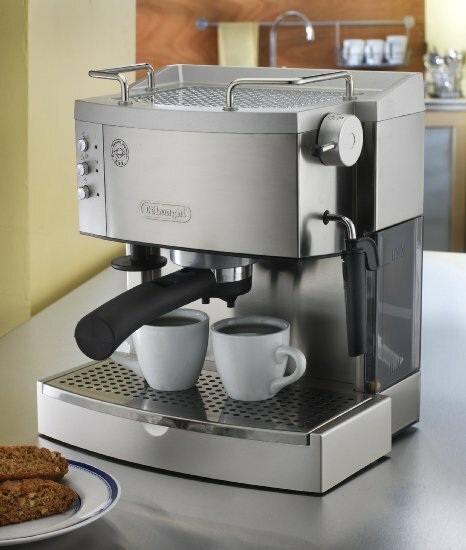 The Capresso EC Pro is an excellent entry-level espresso and cappuccino machine for the home. 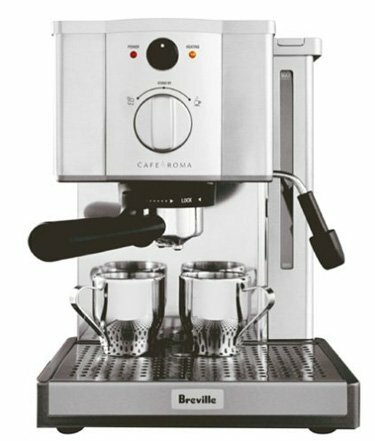 It is a manual machine that is fairly simple to use, made of high quality stainless steel that is durable and sleek in design. 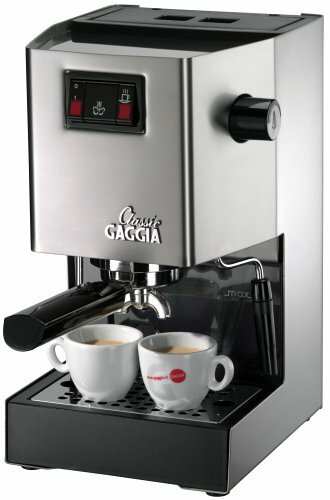 Currently there are two models available for this machine: the 118.05 and 119.05. In this post we’ll try to look at the differences between them to help you with your decision. Manual flow, you control when to stop the shot. 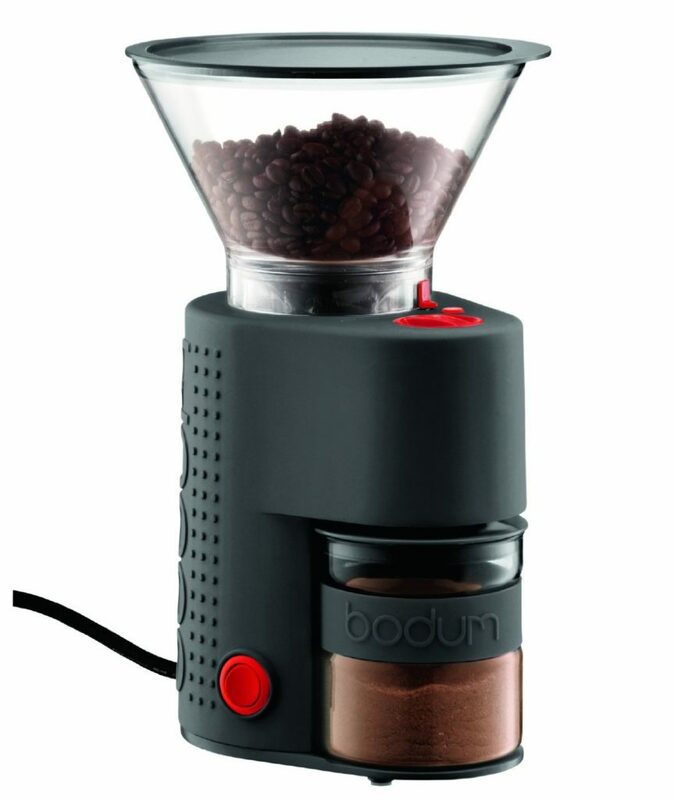 Includes two filters for a single or double shot, and a filter for e.s.e pods. Steam wand for milk heating and frothing. Front panel features switches for on/off power and steam/brew. Dial knob switches between single, double shots or steam. The frothing wand is commercial-grade stainless steel. 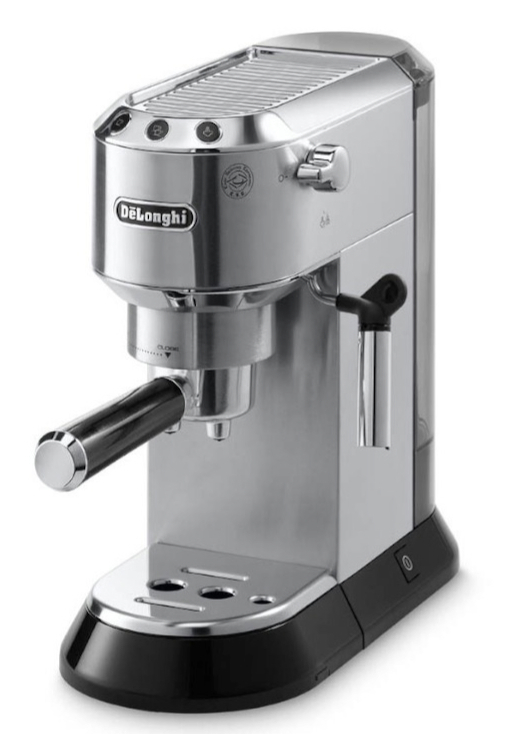 The portafilter can be used bottomless, which can give you more control over your espresso crema. 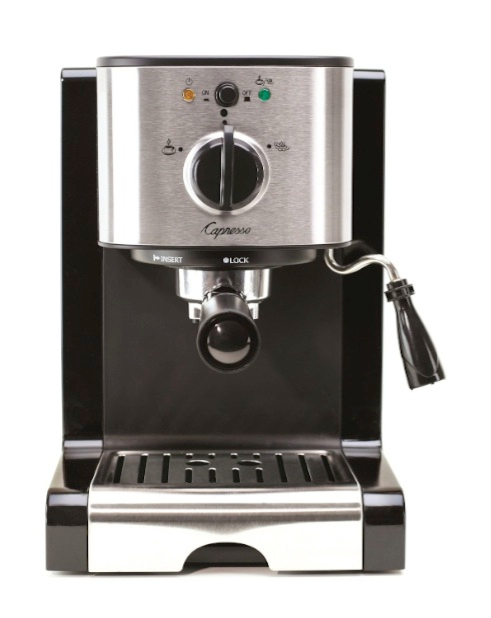 Click here to learn more about the Capresso EC PRO 118.05, read the customer reviews and buy it. Front panel only features a dial knob for controlling your brew. The frothing wand features a plastic sleeve, which is easier for beginners to use. Knob for controlling the steam is located on the side. 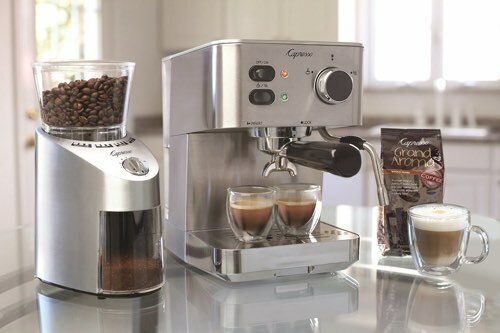 Click here to learn more about the Capresso EC PRO 119.05, read the customer reviews and buy it. Overall look of the machine is sleeker and cleaner. The stainless steel frothing wand should produce better foam. The bottomless portafilter should give you room to practice and improve your espresso extraction skills. 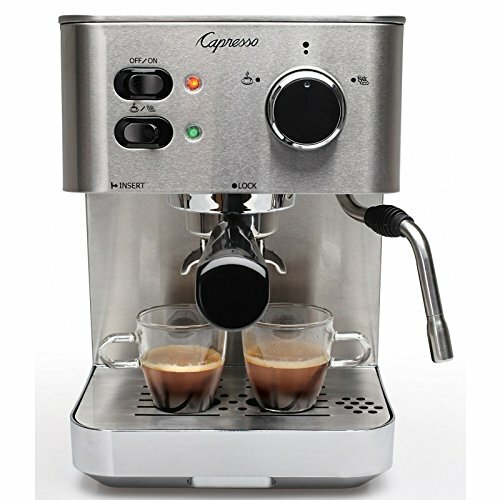 Capresso EC PRO or EC100? Which Is Best To Buy? single or double shot filter, also uses e.s.e pods. Similar dial knob to control the machine. The EC100 has a larger water tank with 46 oz capacity. The EC100 exterior mixes some stainless steel with plastic, where the EC PRO is fully stainless steel. The EC100 has a plastic covered frothing wand, unlike the EC PRO’s commercial grade frothing wand. Click here to read our full comparison between the EC100 and EC PRO. The EC PRO is higher in quality and can give you better results than the EC100. The EC PRO is also more durable and has a better construction than the EC100. However, if you’re on a tight budget, the EC100 is a more affordable option. 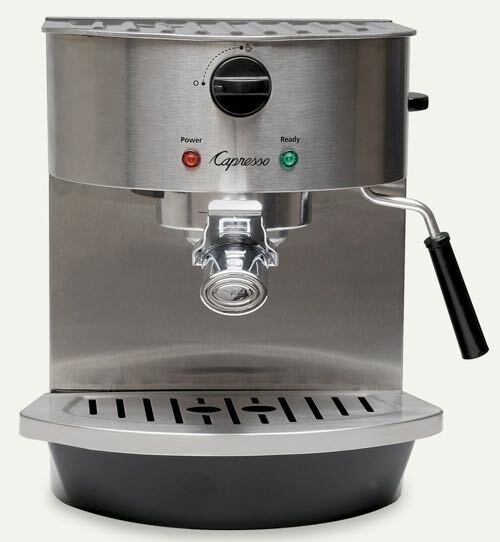 Click here to learn more about the Capresso EC100, read the customer reviews and buy it. 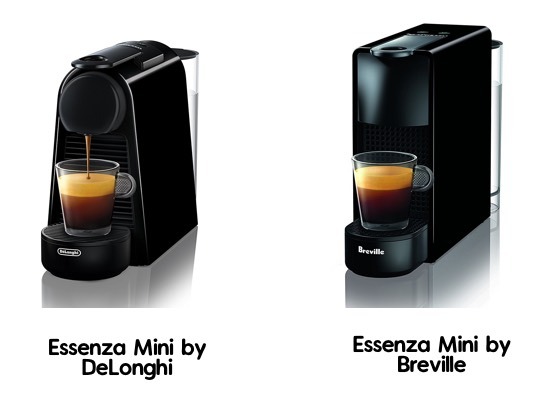 Nespresso VertuoLine vs. Bosch Tassimo, What’s The Difference? 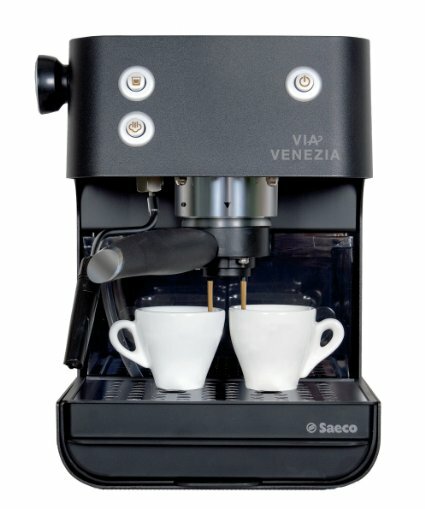 Because both machines feature a bar code technology that automatically recognized the inserted capsule and adjusts the machine settings accordingly. But that’s pretty much where the similarity ends. 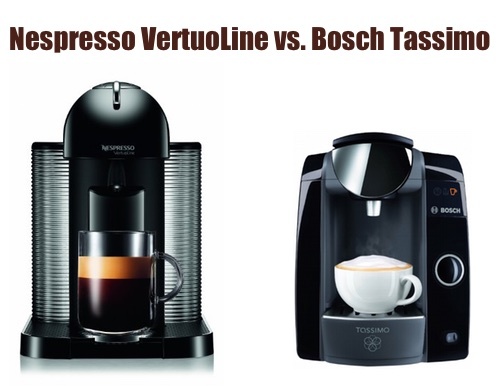 In this post, we’ll be looking at the difference between the VertuoLine and Tassimo in details. 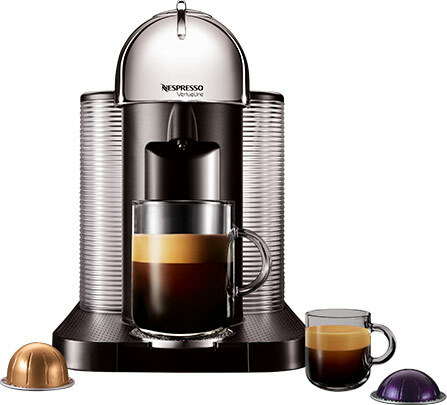 Please read our extensive Nespresso VertuoLine guide by clicking here. 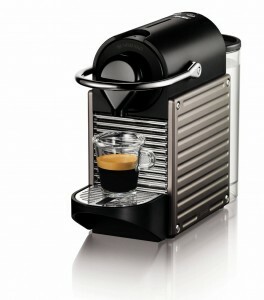 The first Nespresso machine that makes espresso and coffee. Uses a brand new technology called Centrifusion which rapidly spins the capsule to brew coffee or espresso. 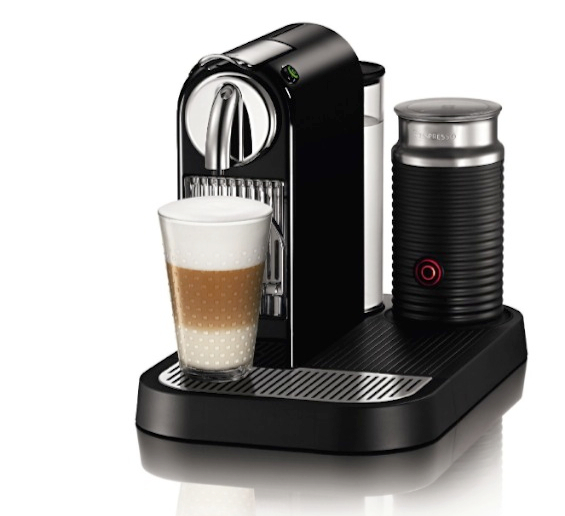 An embedded laser reads the bar code on the coffee capsules and automatically adjusts the machine for you. Ability to reprogram the machine to your liking. 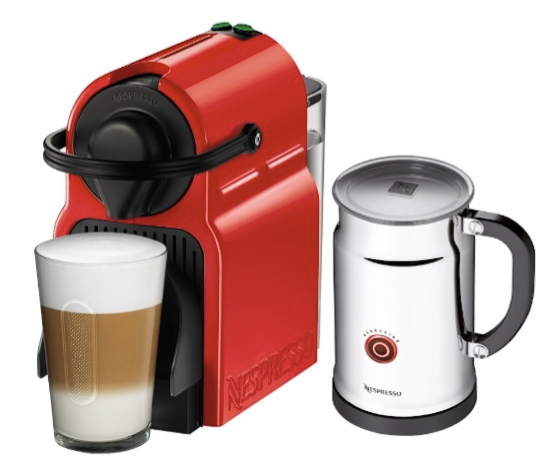 Create gourmet coffee drinks (Cappuccino, Latte) by using Nespresso’s Aeroccino milk frother (available separately or as a bundle). 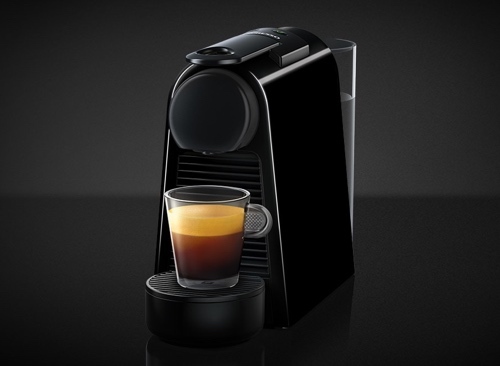 Uses new capsules from Nespressso (different from Nespresso’s Original capsules). Available as espresso or coffee pods. Drawer holds up to 12 used capsules before needing to discard. Automatically adjusts machine using bar code technology. 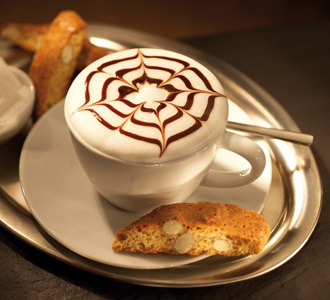 Can prepare a variety of coffee drinks including, coffee, cappuccino, latte, macchiato and more. Noise reduction system for quiet operation. T-disc capsules are available from many different brands. 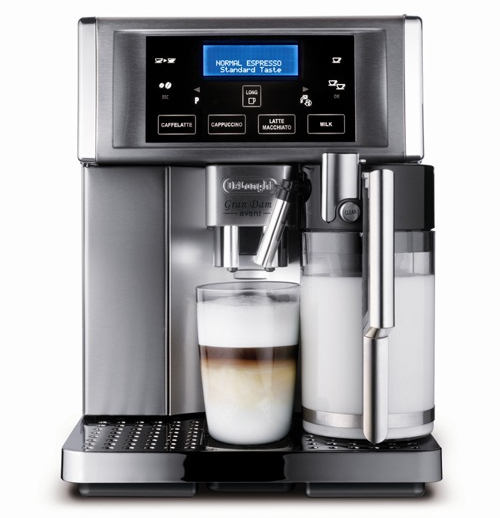 Click here to learn more about the Tassimo beverage system, read the customer reviews and buy it. The VertuoLine uses never-seen-before technology that rapidly spins the capsules to evenly infuse it with water and extract the perfect espresso or coffee every time. 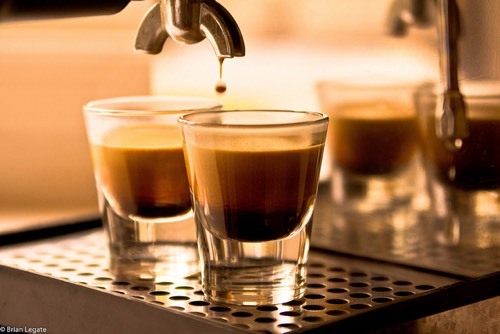 Although the machine automatically reads the bar code on the capsule to adjust itself for the best settings, you still have the ability to increase or decrease the volume of the coffee to get it to your taste. 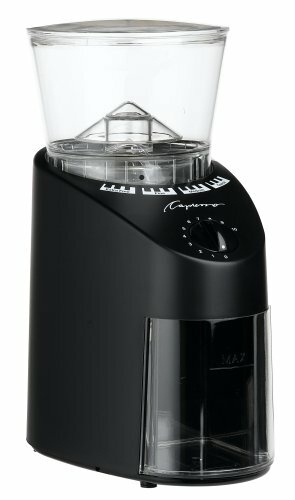 Like most coffee beverage makers, the Tassimo uses pump pressure to brew coffee. 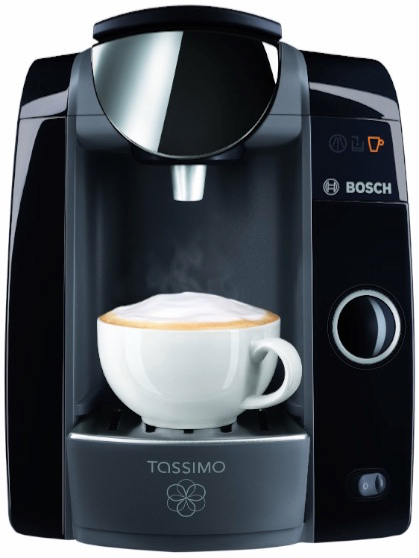 The Tassimo also features a bar code technology that automatically scans the capsules and adjusts to best settings. VertuoLine’s capsules include coffee/espresso only. 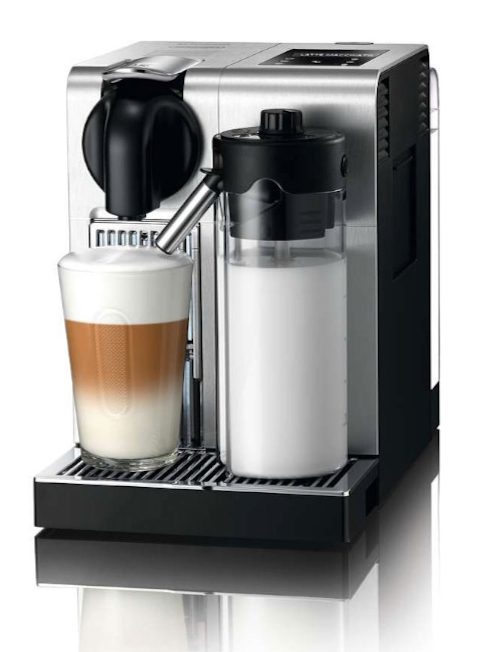 When preparing Cappuccino or Latte for example, you’ll be using your choice of fresh milk which you’ll heat and froth using the Aeroccino frother (or your own choice of frother) and you’ll be adding that to a shot of freshly brewed coffee. 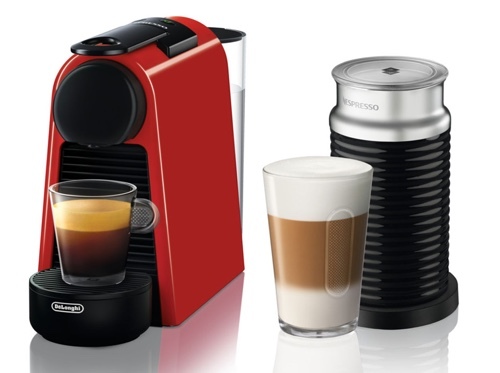 Tassimo’s T-Discs include a variety of drinks including coffee, espresso, cappuccino, latte, tea and more. 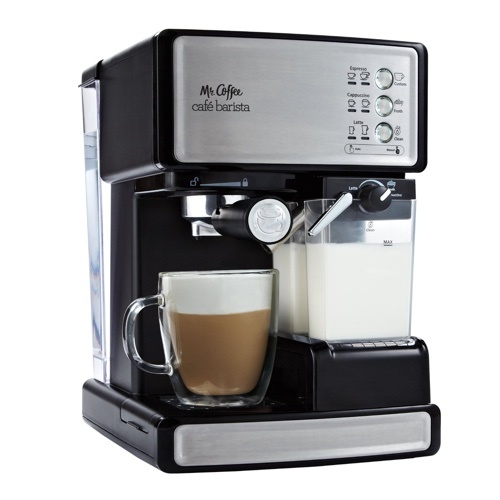 If you opt for a Cappuccino T-disc for example, the machine will brew a pre-packed espresso capsule as well as a milk capsule (instead of using fresh milk). That’s one option of course. 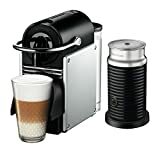 There’s no frother bundled with the machine, but you can always buy your own from any brand (see our recommended frothers here). 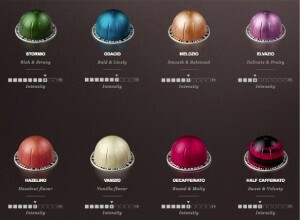 VertuoLine’s capsules are made exclusively by Nespresso and there are NO other compatible capsules. 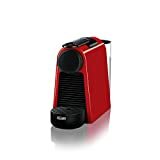 They can be purchased from Nespresso, either in their local boutiques which are available worldwide, or they can purchased online from Nespresso or Amazon. 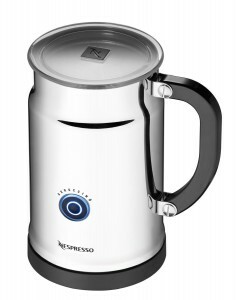 T-discs for Tassimo are available from different coffee brands. They’re sold widely online or in some local stores. VertuoLine’s used capsule drawer means the machine automatically ejects used coffee capsules and keeps it in that drawer until it fills up at around 12 to 13 capsules. That means no clean up required after each use. Tassimo does not have a used capsule drawer. You’ll have to discard each t-disc individually after each use. Which Is Best To Buy? 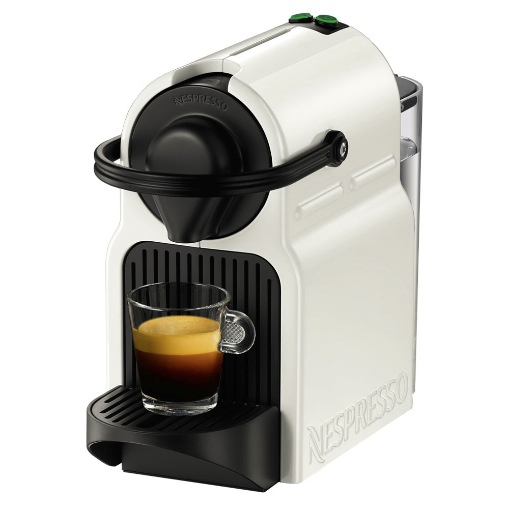 Nespresso VertuoLine or Tassimo? Design wise, the Vertuoline has a beautiful and modern design that is way ahead of Tassimos. As an appliance that sits on your counter top all the time, you’ll want something as beautiful as the VertuoLine. 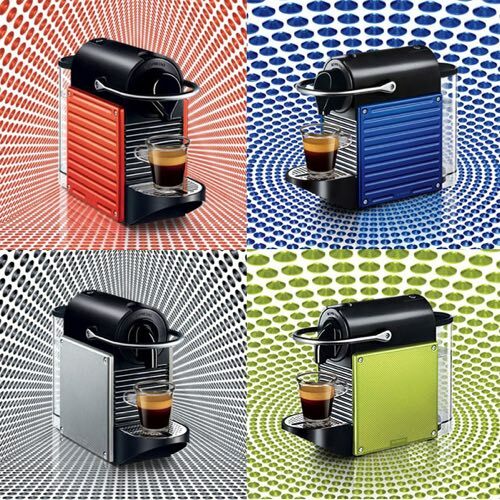 Nespresso’s coffee capsules are known for their highest quality. You’re guaranteed a fresh an aromatic cup of coffee every time. 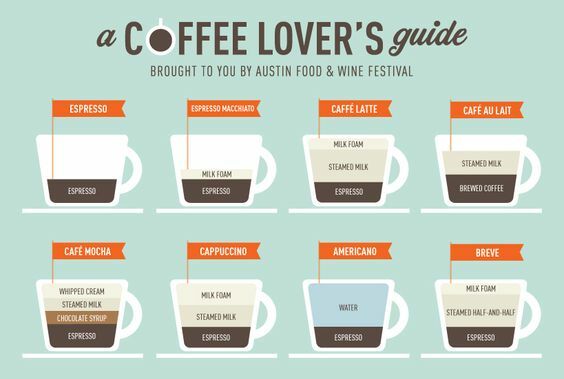 Nespresso doesn’t serve packed milk capsules and artificial flavors, which we’re totally against. 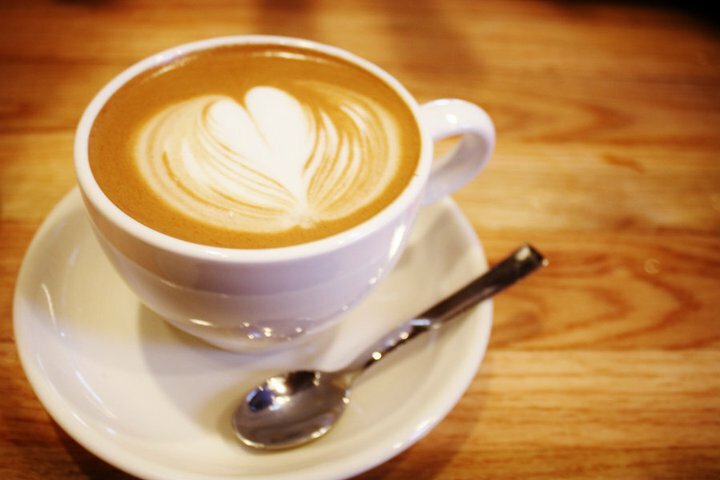 When preparing milk-based drinks, you’ll want to use fresh milk, which is what the Aeroccino helps you with.